You say "Shabbos", I say "Shabbat"..... How ever the Jewish people pronounce it, it remains a peaceful oasis of holiness and tranquility in our tumultuous times, that we wouldn't miss for the world! Have you ever wanted to go away for a Shabbat, or perhaps experience one for the very first time, but did not have a Shabbat home to join? Do you wish you had a special guest to share the beauty of your family's Shabbat experience, but do not know where to find them? Shabbat.com was established to help you find your "perfect challah"! Traveling for business or pleasure? Backpacking across the country or around the world? Find your perfect challah! Studying abroad or in Israel? Or perhaps you just came back from Israel and want the taste to linger a while longer? Want to network in your profession, meet cool people, make lifelong friends and expand your social horizons (and perhaps meet your Bashert)? Find your perfect challah! Come from a limited Jewish background and would like to experience a traditional Shabbos? Find your perfect challah! Families who wish to host set up profile pages with basic information and up to four family pictures. (After all, a picture is worth a thousand words, and a warm family photo is worth a whole lot more than that!) In addition, each page has a guest book, which allows the guest to offer feedback from the experience and gives the potential guest a better idea of what it’s like to spend a Shabbat with that family. This will also indicate to a potential guest where the "happening" Shabbat homes are and encourage them to seek an invite. Each guest also fills out a profile page so the host can acquaint themselves with the potential guest. Two references are requested so that the host will feel comfortable inviting his "future friend" into his home. Guests can find a host by searching the pages by country, state and city. There are other search fields as well which will allow the guest to find the perfect host with whom they would feel comfortable spending the Shabbos. They can then contact the family to make arrangements using the contact information provided. You are able to see your potential guests' photo before accepting them. Each person who registers as a guest must have 2 references. It is up to you to call these references and decide on the comfort level they inspire in you. You can review a guest's "guestbook" for feedback from their past Shabbos hosts on the site. You can see the person's friends and their history as a guest with other registered hosts, and can contact a previous host if necessary. Lastly, your contact information will not be released to your potential guest until you have viewed and approved the guest's profile, based on the measures listed above. We hope that our policy will help create a secure and positive experience for all hosts and their guests. We welcome your feedback and any concerns you might have, so feel free to be in touch with us! Shabbat.com offers other helpful features. The Shabbaton/Simcha mode allows Balei Simcha and Shabbaton organizers to search for many guests in a given area at once. Each week, a page is updated with relevant changes, such as Divrei Torah (a speech or story incorporating words of Torah) for that week’s Parsha (weekly section of the Torah) and upcoming holidays. For people with a limited Jewish background, they will find a page with explanations regarding laws, customs, and expectations of Shabbos so they can be better prepared and educated. Shabbat.com is still a work in progress; our goal is to make Shabbat.com a global resource. We believe there is a challah with every person’s name on it out there and we welcome your feedback to help us in our mission. The warmth of the Shabbat home, the smell of chicken soup with matzoh balls and freshly baked challah wafting through the air, the beautiful sounds of Zemirot (songs), all blend together in a harmonious experience that rejuvenates the spirit and re-energizes us for the week ahead. We can't wait to... See you on Shabbat! This site has been dedicated L’ezecher Nishmas Refael Chaim Simcha Binyamin ben Shlomo Mordechai– a sweet five year old boy who taught us all what Simcha truly is. Copyright © 2010 Shabbat.com. All rights reserved. The conceptual founder of Shabbat.com, Rabbi Klatzko brings over two decades of visionary leadership, staunch support of Israel, and Jewish activism to the project. A native of Cleveland, Ohio, Rabbi Klatzko received his rabbinic ordination from the prestigious Mir Yeshiva in Brooklyn, New York. At the Mir, he was known for his exceptional diligence in his studies and sterling character traits- both of which garnered him the respect and admiration of the famed Dean of the Yeshiva, the world-famous sage, Rabbi Shmuel Berenbaum, ZTL. After completing his studies, Rabbi Klatzko accepted an offer to serve as Rabbi of the historic Agudath Israel synagogue of Brooklyn, New York. After seven years of galvanizing the community towards greater levels of Jewish living and expression, he began a three year stint as the Rabbi of a distinguished congregation in Perth Amboy, New Jersey. Rabbi Yehudah Koblick is a co-founder of Shabbat.com. As the lead developer, Rabbi Koblick oversees all technical operations and is responsible for the development of its core technology and infrastructure. He was formerly a software engineer and consultant to the Elfnet project and worked for Mitsubishi Electric Research Laboratories. 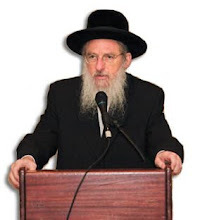 Rabbi Koblick holds a bachelor’s degree in information systems from Pace University. He received his rabbinic ordination from Rabbi Bezalel Rudinsky and is a longstanding member of the Kollel at Yeshivas Ohr Reuven. He is also the director of Yeshiva Hockey, an ice hockey organization for kids. Currently he is the founder of Tribex Technology, a new software company. Lavi Needleman, a Monsey, N.Y. businessman, heard of Rabbi Benzion Klatzko’s visionary dream and was inspired to assist him in getting this unique website off the ground and running! Lavi is a Tree Surgeon & Landscape Designer by day, and in his free time, he continues the innovative educational methods that he started implementing in Israel 20 years ago. After attending Yeshiva University, Lavi spent two years in Israel involved in forming an innovative pilot program at Ohr Someach Israel. This afternoon learning program paired up religious, but not motivated students with Baalei Teshuva who were weak in textual skills but brimming with enthusiasm, thus creating a win/win situation both for those being tutored and for those doing the tutoring. After returning to the U.S., Lavi learned in Yeshivas Mir in Brooklyn and developed a close relationship with Rav Avigdor Miller who lived right next door. In 1995, he and his wife Peshie were members of the kollel in Boca Raton which was the community's successful tryout of a fulltime Kollel. Always looking for unique ways to make a difference, Lavi joined the staff at Camp Moodis where he bonded with and influenced amazing personalities from NASA and other high visibility professionals who were looking for higher meaning in life. As a Business Systems Analyst for Shabbat.com, Ahuva provided invaluable support to the team by detailing processes and requirements in keeping with the project’s objectives and scalability. She was formerly a business analyst for Donovan Data Systems & MediaOcean as well as several small start ups in Montreal, Quebec. Ahuva Shabtai holds a bachelor's degree in information systems from McGill University. Ahuva's love for Shabbos and appreciation for this revolutionary project is what made her jump right into the Shabbat.com team. In her free time you can find Ahuva curled up reading a non-fiction book, cooking healthy, practicing yoga, or with family and friends. As a Systems Architect for Shabbat.com, Reuven Koblick brings several years of technical experience to the table. Mr. Koblick worked for the prestigious Bell Laboratories where he was the Project manager for Unix System V. He also developed Unix to run on Intel and Motorola processors in addition to other innovations for Unix and networking. Reuven Koblick was an active participant in the commercialization of the World Wide Web. He has participated in several standards committees including the IETF (Internet Engineering Task Force) and WWW Consortium. At Mitsubishi Electric, Mr. Koblick was involved in several large scale commercial projects including the development of a network storage backup system which was sold to Veritas (now Symantec) and became their flagship product. He founded Formcentric, an infrastructure tool, and used it to develop several Web Apps. In addition to English, Reuven Koblick speaks fluent French, Spanish, German, Hebrew, Yiddish, and some Japanese. He is an accomplished flamenco guitarist, playing professionally in Spain. Also, a professional ski patrolman, accomplished pilot, and has fought several forest fires with the Crested Butte Hotshots fire team. He lived for several years in Spain and France and obtained a Masters degree in computer science at the University of Paris. Reuven Koblick was a student at Yeshivas Netzach Israel in Jerusalem and studied under the illustrious Torah giant, Harov Israel Gustman, as well as Rabbi Moshe Lipke. Yakov Vershubsky brings his years of experience as a User Interface Architect to shabbat.com in order to ensure that the site is intuitive, easy to use, and attractive, so as to make it accessible and inviting to as many users as possible. As a User Interface Designer & User Experience Consultant for big firms such as Microsoft, LexisNexis, ESPN and other Fortune 500 companies, he gained extensive knowledge and hands-on experience in areas such as Internet marketing, search engine optimization, GUI planning & design, Web 2.0 design & development, landing page design & optimization, and branding and identity. Additionally, Yakov is highly regarded as the industry leader in an area called Design to Convert. Illustrated. 202 pp. Free Press. $24.99. But that’s just not right. Relativistic-quantum-field-theoretical vacuum states — no less than giraffes or refrigerators or solar systems — are particular arrangements of elementary physical stuff. The true relativistic-quantum-field-­theoretical equivalent to there not being any physical stuff at all isn’t this or that particular arrangement of the fields — what it is (obviously, and ineluctably, and on the contrary) is the simple absenceof the fields! The fact that some arrangements of fields happen to correspond to the existence of particles and some don’t is not a whit more mysterious than the fact that some of the possible arrangements of my fingers happen to correspond to the existence of a fist and some don’t. And the fact that particles can pop in and out of existence, over time, as those fields rearrange themselves, is not a whit more mysterious than the fact that fists can pop in and out of existence, over time, as my fingers rearrange themselves. And none of these poppings — if you look at them aright — amount to anything even remotely in the neighborhood of a creation from nothing. Krauss, mind you, has heard this kind of talk before, and it makes him crazy. A century ago, it seems to him, nobody would have made so much as a peep about referring to a stretch of space without any material particles in it as “nothing.” And now that he and his colleagues think they have a way of showing how everything there is could imaginably have emerged from a stretch of space like that, the nut cases are moving the goal posts. He complains that “some philosophers and many theologians define and redefine ‘nothing’ as not being any of the versions of nothing that scientists currently describe,” and that “now, I am told by religious critics that I cannot refer to empty space as ‘nothing,’ but rather as a ‘quantum vacuum,’ to distinguish it from the philosopher’s or theologian’s idealized ‘nothing,’ ” and he does a good deal of railing about “the intellectual bankruptcy of much of theology and some of modern philosophy.” But all there is to say about this, as far as I can see, is that Krauss is dead wrong and his religious and philosophical critics are absolutely right. Who cares what we would or would not have made a peep about a hundred years ago? We were wrong a hundred years ago. We know more now. And if what we formerly took for nothing turns out, on closer examination, to have the makings of protons and neutrons and tables and chairs and planets and solar systems and galaxies and universes in it, then it wasn’t nothing, and it couldn’t have been nothing, in the first place. And the history of science — if we understand it correctly — gives us no hint of how it might be possible to imagine otherwise. And I guess it ought to be mentioned, quite apart from the question of whether anything Krauss says turns out to be true or false, that the whole business of approaching the struggle with religion as if it were a card game, or a horse race, or some kind of battle of wits, just feels all wrong — or it does, at any rate, to me. When I was growing up, where I was growing up, there was a critique of religion according to which religion was cruel, and a lie, and a mechanism of enslavement, and something full of loathing and contempt for every­thing essentially human. Maybe that was true and maybe it wasn’t, but it had to do with important things — it had to do, that is, with history, and with suffering, and with the hope of a better world — and it seems like a pity, and more than a pity, and worse than a pity, with all that in the back of one’s head, to think that all that gets offered to us now, by guys like these, in books like this, is the pale, small, silly, nerdy accusation that religion is, I don’t know, dumb.